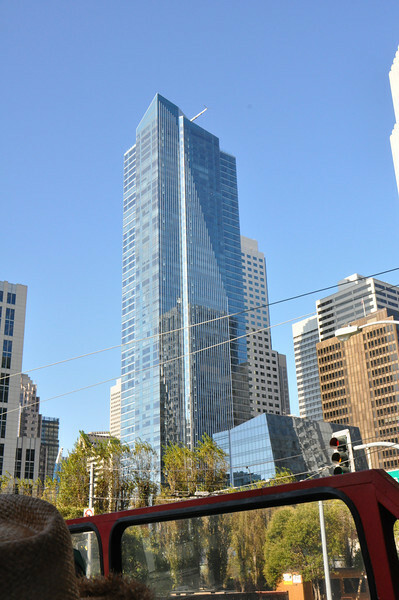 The current tallest building in San Francisco. A newer, taller one is just starting construction. Tour guide said most of the tall buyildings are condos. The condos average $2-$3 million in this building (at only 800 sq ft!) with $11 million for the penthouse condo.